Christian is from Chicago, Illinois/Kenosha, Wisconsin and is currently pursuing his BFA in Musical Theatre from Webster Conservatory. Christian’s Regional credits include; Roger in Rent at Orbit Theatre (Daytona Beach, FL), Peter in Pinkalicious (Timber Lake Playhouse), Joly/Marius U/S in Les Miserables at Timber Lake Playhouse as well as Judah in Joseph, Ziggy in Young Frankenstein, and “gum chewing cop with the mustache” in Rumors. Christian is beyond thrilled to be joining the incredibly talented company at Clinton this summer! Natalie is absolutely delighted to be part of the cast at the Showboat for her first time. Favorite past roles include Theresa in Boy Gets Girl, Frankie in The Member Of The Wedding, Janet Van De Graaff in The Drowsy Chaperone, and Jenny in Quilters. Natalie is currently attending Webster Conservatory, as a Musical Theatre major, and anxiously awaits graduating with a BFA in May 2016. Otis comes to the Showboat Theatre from Mt. Carmel, IL. As a Voice Performance Major, he is entering his Senior year at Anderson University in Anderson, IN. "I am beyond excited to be making my professional debut here at the Showboat this summer!" Livvy Marcus, a proud Boston native and rising junior at Baldwin Wallace, is thrilled to be joining the Clinton company this summer. Regional credits include Carrie at the Beck Center, Anne of Green Gables at Riverside Theatre Works, and A Little Princess at Wheelock Family Theatre. Other favorite roles include A Chorus Line (Connie), Bat Boy (Shelley), Bare: A Pop Opera (Ivy), and Les Miserables (Eponine). Bailey Jordan Reeves is thrilled to be making her professional deut at the Clinton Showboat Theatre! Some of her favorite roles include, Amneris in Aida, DeLee in Smokey Joe's Cafe and Leading Player in Pippin. Bailey is a native of Calhoun, GA, located an hour north of Atlanta. Bailey is a rising senior at Webster University. 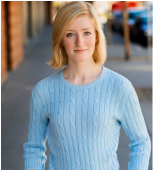 Marisa Jean Riegle is thrilled to join the Clinton Area Showboat cast this summer! BFA Musical Theatre/Dance major at Roosevelt University (Chicago). National Tour: Annie (TOTS); Favorite roles: Legally Blonde (Serena), Hairspray (Amber), 13 (Patrice), Into the Woods (Milky White), The Secret Garden (Mary), Ragtime (Little Girl); TV: Final Witness, School Spirits. Originally from East Rutherford, NJ (home of the 2014 SuperBowl) and now residing in Greensboro, NC, Claudia H. Stein fell in love with performing from the young age of six. She started out in ballet and tap classes at Starz Performing Arts Academy, and eventually joined their award winning competition team. Claudia found her true passion for acting in high school at Bergen County Academies, designated in 2013 as a Model School for the Arts in New Jersey. She now is furthering her education at the University of North Carolina at Greensboro where she is pursuing her Bachelor of Fine Arts degree in Acting. Her most recent roles there include Texas in Cabaret, Various Roles in Fall Briefs, Commedia Dell'Arte ensemble in The Bungler and a Laker Girl/Ni Knight in Spamalot. Claudia is also a licensed Zumba instructor and teaches jazz and tap at Artistic Motion School of the Arts in Greensboro. Adria Swan is a Junior BFA Musical Theatre major at Texas State University. She was last seen as Peppermint Patty in the workshop revival of Snoopy! The Musical with Broadway choreographer Adam Cates. TxState credits: Kiss Me, Kate, RENT, and Anything Goes. Other credits include: Reefer Madness (Mary Lane), The Fantasticks! (Luisa), Thoroughly Modern Millie (Millie), and Cabaret (Helga). She is very excited to be spending her summer in Iowa on a showboat! Ty Taylor is a current BFA Musical Theatre major at Texas State University and a native of Fort Worth, Texas. He is thrilled to be spending his summer working in Iowa! Credits: Kiss Me, Kate (Gremio/ Asst. Choreo), Anything Goes (Sailor), TSU; Honk! (Ugly), She Loves Me (Arpad), 5th Street Theatre; Les Miserables (Joly), Casa Mañana Theatre; Bye Bye Birdie (Teen Chorus), Oliver (Ensemble), Lyric Stage. Jonathan is thrilled to be making his Clinton Showboat debut! Born and raised in Buffalo, New York, Jonathan is a rising junior Musical Theatre major at Baldwin Wallace University, where he recently appeared as Joey in the collegiate premiere of Saturday Night Fever. Favorite roles include Bobby in A Chorus Line, Balladeer in Assassins, and Andy in Secrets of the Trade. A graduate of Cincinnati-College Conservatory of Music (CCM), Kristy was a member of the original Broadway cast of Wicked where she served as Idina Menzel's understudy. Kristy later assumed the role of Elphaba in the long running Chicago engagement of the production. In addition to Wicked, some of Kristy's favorite roles include Diana in Next to Normal, Christine in Dirty Rotten Scoundrels and the Witch in Into The Woods (opposite Artistic Director Matthew Teague Miller as Jack). Kristy is thrilled to be directing at the Clinton Area Showboat Theatre. Amy is thrilled to be reunited with the musical that she performed in nearly every major city in the United States, including the closing Broadway company. With her MFA in Acting, Amy joins the Clinton Area Showboat Theatre from Greensboro, NC where she recently performed in Triad Stage's productions of Abundance and Snow Queen. Amy is a proud member of Actor's Equity Association.